Flash Sale at The Mall!!! 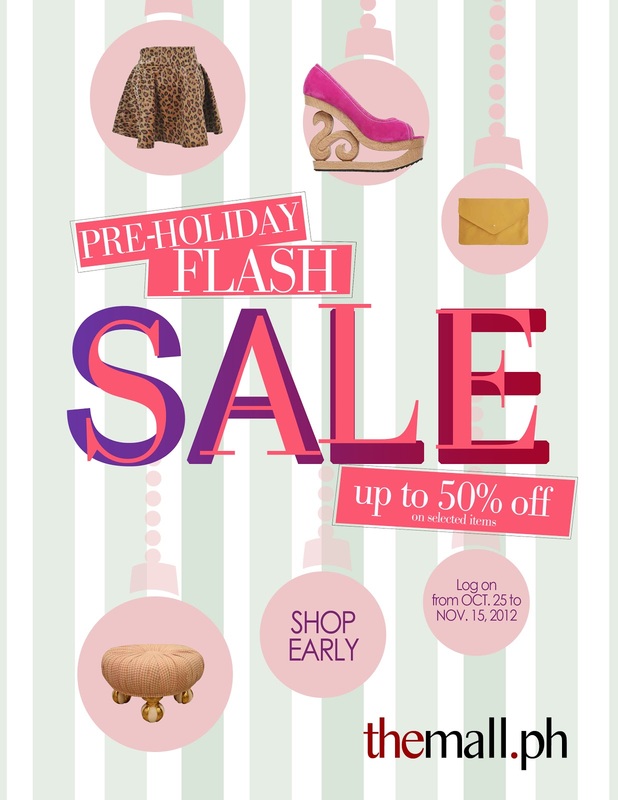 TheMall.ph is giving another treat to shoppers this October: The Pre-Holiday Flash Sale. From October 15 to November 15, 2012, participating brands are taking half the price off on selected items. The Holidays are coming and it's best to avoid the rush and the terrible Manila traffic. Shop early and shop from the comfort of your home (or wherever you are). I am recently getting into online shopping. It's very convenient!